When eight-year-old Bana Alabed took to Twitter to describe the horrors she and her family were experiencing in war-torn Syria, her heartrending messages touched the world and gave a voice to millions of innocent children. Bana’s happy childhood was abruptly upended by civil war when she was only three years old. Over the next four years, she knew nothing but bombing, destruction and fear. Her harrowing ordeal culminated in a brutal siege where she, her parents, and two younger brothers were trapped in Aleppo, with little access to food, water, medicine, or other necessities. Facing death as bombs relentlessly fell around them, one of which completely destroyed their home, Bana and her family embarked on a perilous escape to Turkey. 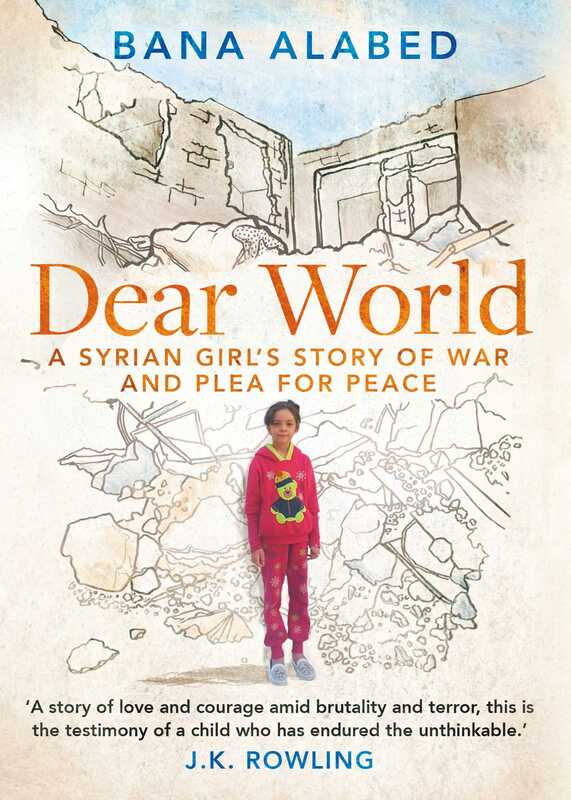 In Bana’s own words, and featuring short, affecting chapters by her mother, Fatemah, Dear World is not just a gripping account of a family endangered by war; it offers a uniquely intimate, child’s perspective on one of the biggest humanitarian crises in history. Bana has lost her best friend, her school, her home and her homeland. But she has not lost her hope - for herself and for other children around the world who are victims and refugees of war and deserve better lives. Dear World is a powerful reminder of the resilience of the human spirit, the unconquerable courage of a child, and the abiding power of hope. It is a story that will leave you changed.